If you’re a fan of western RPGs, then you’re no doubt familiar with the name Obsidian Entertainment. The studio is behind some of the most critically acclaimed RPG’s ever, and they’ve striven to stay true to their style over the years. Obsidian Entertainment specializes in what the kids these days call cRPGs (computer RPGS). Essentially cRPGs are for people that like tabletop but hate actual tabletops. It’s the nuts and bolts of a pen-and-paper RPG but translated into a videogame. So think skill checks, rolls, and turn-based combat where the computer does most of the heavy lifting. cRPGs have always been kind of a niche genre, but they have a strong and (arguably growing) fanbase, and the support of these fans online has helped Obsidian deliver great cRPG experiences consistently. Of course, Obsidian Entertainment isn’t just known for their DnD-esque gameplay, however; they also proudly wear the medal of some of the best storytellers in gaming – period. In 2015 Obsidian brough us Pillars of Eternity, a story-driven isometric RPG that took players into a chaotic fantasy world. This time around the developer is switching it up and taking us to a more nautical setting; specifically, Deadfire. I jumped in and waded through (you’ll see why that joke is funny later) Pillars of Eternity II: Deadfire’s backer beta and jotted down some of my thoughts. Let’s take a look-see. The first thing to note is that Pillars of Eternity II: Deadfire is super customizable. This is par for the course with cRPGs; pretty much every little thing can be changed around and tinkered with. You choose from 6 different races with their own attributes, choose your place of origin, choose your class (you can multi-class if you want) and you can also choose how the enemies will scale up as you level. So far, so cRPG. Now, the game makes every effort to explain to you how all these systems work, but the long story short is that unless you’re a fan already, you’re gonna need to do a little reading to work out what each one does. I ended up putting together my rogue godlike character after shopping around a bit, and I was ready to jump in. Pillars of Eternity II: Deadfire opens with you visiting an island that’s been plagued by poor harvests and storms. That’s the first thing you note about Pillars of Eternity II: Deadfire; there’s a fair bit of sailing and seafaring involved, and ship management is its own section of the game. The setting is pretty fresh for anyone who is used to the usual fantasy fare; it’s an island setting with a strong Polynesian/Samoan aesthetic. Things are pretty tense what with the lack of food, and pretty much everyone is on edge. You travel around the village talking to different NPCs and getting the lay of the land before heading off on your first quest. Now, the character customization isn’t the only part of Pillars of Eternity II: Deadfire that involves a fair amount of reading; there’s a boatload (ha!) of dialogue. The story can be a bit tricky to keep up with, but you get the hang of it pretty quickly. Just try and keep up in your head and you’ll be fine. Eventually you head to these ruins to the east, and this where you get your first taste of combat (at least it’s where I did). Combat is a mix between turn-based and action. It’s most reminiscent of the first Dragon Age for me. You have combat in real-time, but you can pause and line up attacks in the midst of things. Of course, attacks have cooldowns and special waiting periods, so you get used to timing it. The companion AI is pretty clever (as is the enemy AI, much to my chagrin), so you can take a backseat and just remind them to heal or get out of the fray when they need to. After my first run through of the dungeon, I’d gotten the hang of things, but there’s definitely a learning curve. There’s a ton going on in the UI, and it’ll take you a few runs to get a sense of where everything is in the UI. On the whole though, Pillars of Eternity II: Deadfire is shaping up to be a pretty capable cRPG, although I don’t know how accessible it’ll be to people outside the core audience. Still, if you want something story-driven with strategic combat, Obsidian are the right people for the job. 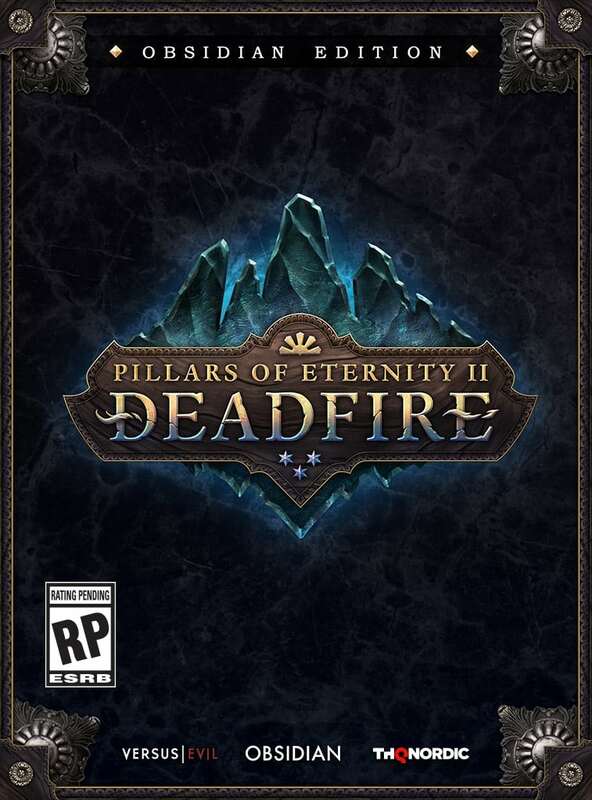 Pillars of Eternity II: Deadfire is set to launch this year for PC on the 4th of April 2018, and you can get early access right now via Steam. The preview was done on a PC running Windows 10, with an 8GB NVIDIA Geforce GTX 1070 fitted on a 4th Generation Intel i7 4790 3.6Ghz CPU and topped with 16GB of RAM. The impressions were made based on a Steam access code provided by the Versus Evil and Obsidian Entertainment.